ONCE YOU USE IT - YOU WON'T WORK WITHOUT IT! 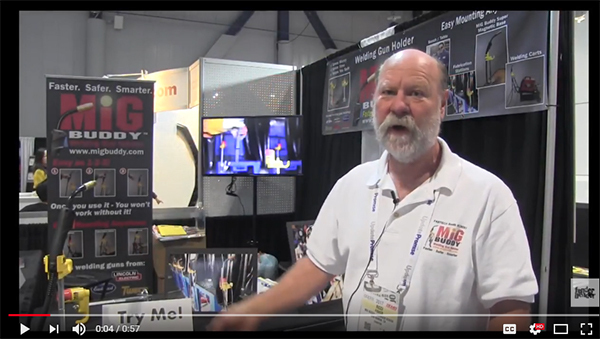 See the MiG Buddy in action! "A better way to do it"
I had bought one of those bent metal ones with magnet base and it just did not work, always tipping over when the magnet let loose. This MiG Buddy product attacks the problem differently and it's so easy to use. It holds the gun securely but it is easy to get in and out and after a while it becomes automatic. I drop my mig gun in and I know where it is all the time. What a great product! "Great Gift For Racecar Builder"
I purchased this as a gift for a friend who builds racecars. With as much welding as he does I figured it’d be a good fit. I saw him the other day at the bar and he bought me a drink saying he doesn’t know how he worked without it for so long. High praise from a guy who’s been building cars for 40 years. Solved the problem to hold your mig gun while working. "Mig Buddy works great, very well made and comes with great mounting ..."
Needed something to isolate my gun from the work bench. 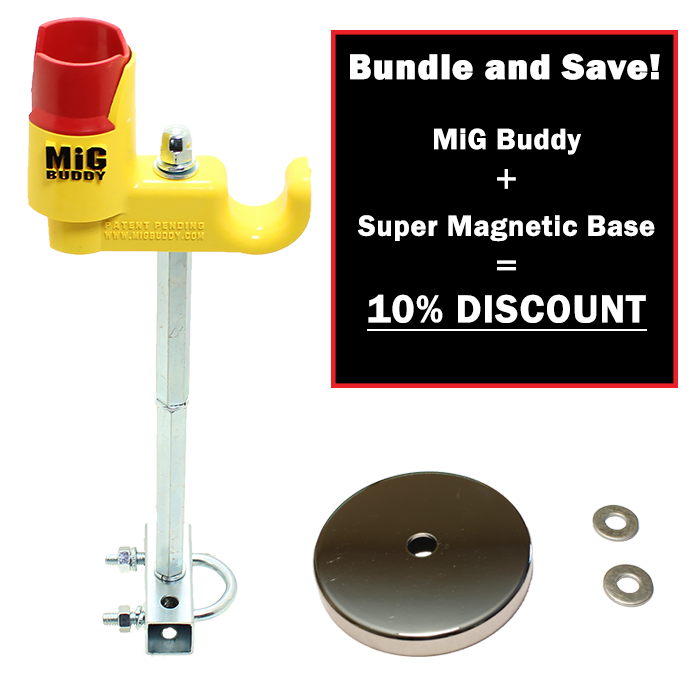 Mig Buddy works great, very well made and comes with great mounting hardware. I plan on installing these on all my work stations. This is a tool that no doubt received a lot of thought and testing and comes with plenty of hardware to mount to most anything, unlike some other holders it is strong yet non nonconductive and has a nice place to hang your coiled cables when not in use. 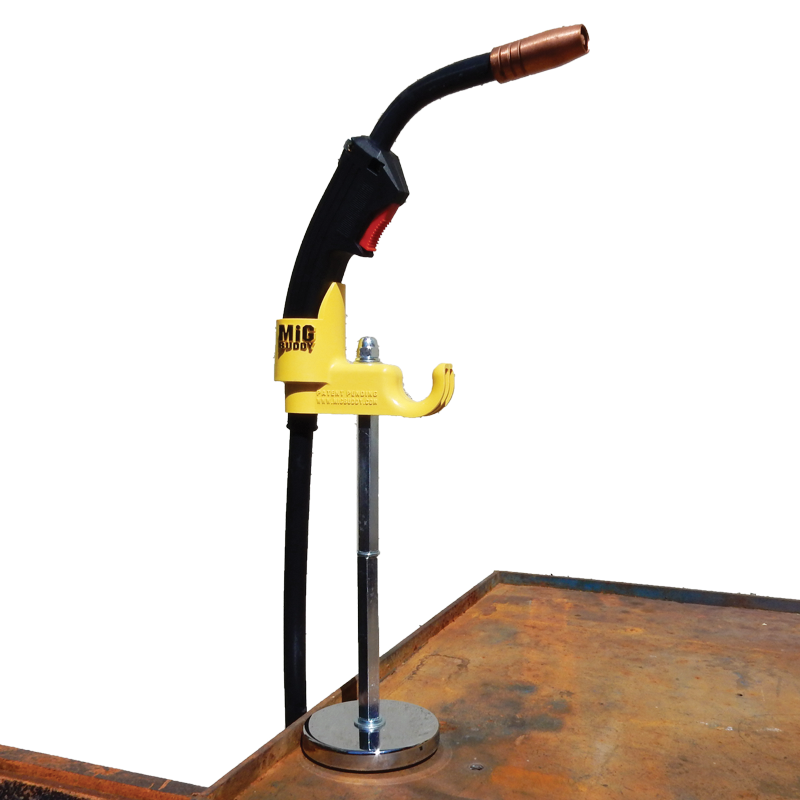 I have been welding for 40+ years professionally and certified, I can say this product adds safety to the job by creating a safe place to hold a mig gun and leads ( should also fit others like tig and arc ) . In my career I have had 2 mig guns drop and break ( the trigger and spring flys out ) stopping production, this tool will help prevent the 3rd. "Works very well, holds the gun up high so …"
Works very well, holds the gun up high so it's not able to hang up on the end of the table. mag is very strong. Well made. 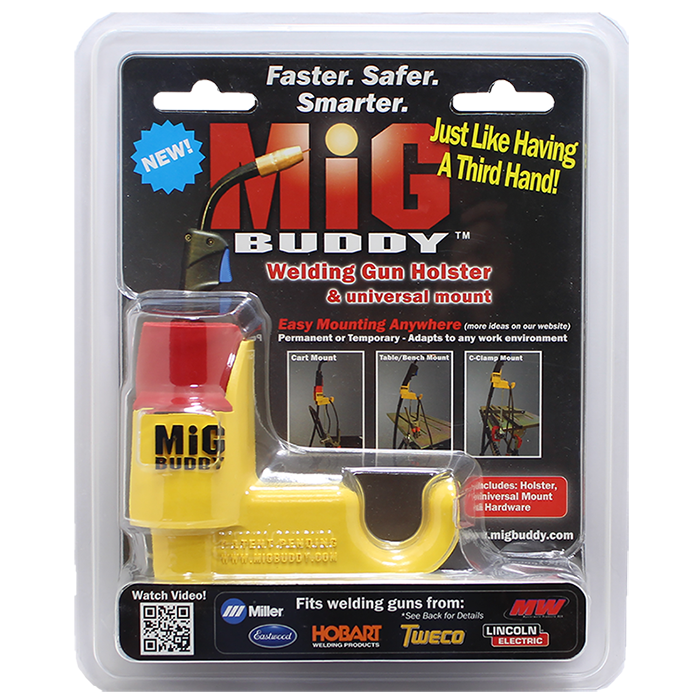 Will the MiG Buddy fit your welding gun? The MiG Buddy was a winner of the Best New Product award at this years SEMA held in Las Vegas Nevada. Check out this video from the show! This is a tool that no doubt received a lot of thought and testing and comes with plenty of hardware to mount to most anything, unlike some other holders it is strong yet non nonconductive and has a nice place to hang your coiled cables when not in use. 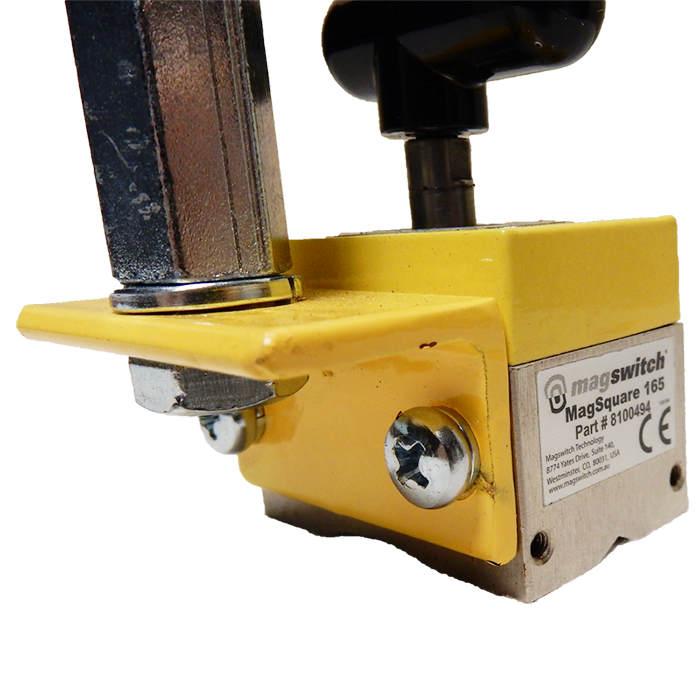 I have been welding for 40+ years professionally and certified, I can say this product adds safety to the job by creating a safe place to hold a mig gun and leeds ( should also fit others like tig and arc ) . In my career I have had 2 mig guns drop and break ( the trigger and spring flys out ) stopping production, this tool will help prevent the 3rd. "Works very well, holds the gun up high so ..."